If you’ve ever done business in a foreign country, you probably sympathize with the feeling that you’re missing something. Laws and regulations are different. Banking procedures are unfamiliar. Local economies aren’t what you’re used to. Even business etiquette in a new country can throw you for a loop. Without a deep understanding of the economic, political, cultural, and military events that have shaped the identity of a country, it can be hard to get your footing in the business world. After all, a country’s history is deeply entwined with its modern-day economy. 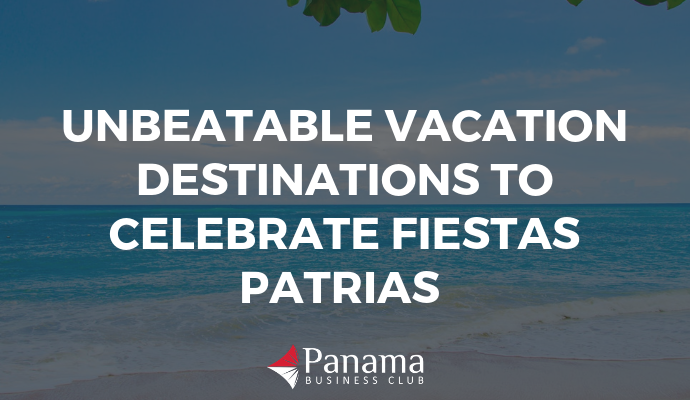 Panama is no exception to this rule. Panama has a rich and complicated history that few foreigners (and still some locals, for that matter) really understand. By spending some time getting to better understand this history from multiple perspectives, you can come to understand how and why Panama’s economy came to be what it is today. 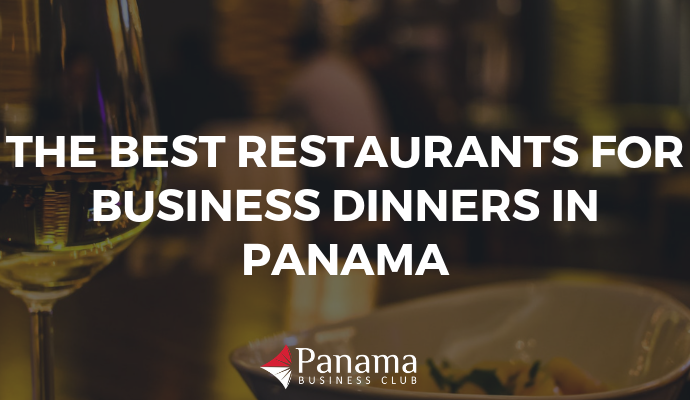 As a result, you’ll be in a much better place to successfully conduct business in Panama. Not sure where to start? Thankfully, there are plenty of phenomenal books about Panama that share this fascinating history through unique perspectives. We asked our members for their top book recommendations for executives wanting to learn more about Panama and came up with this list. From historical accounts to contemporary reads, each of the books on this list will broaden your understanding of Panama and its business landscape. So check out our list of the 10 books that we think all executives doing business in Panama should read. The hardest part will be deciding which one to dive into first. Published in 2004, this semi-autobiographical book details Perkin’s career working as a consultant for the firm Chas T. Main in Boston. During his time at the firm, his main duty was to convince developing countries to accept development loans from the U.S. and then contract U.S. companies to do the work. What does this have to do with Panama? Well, Panama was one of the countries that Perkins and his team worked extensively with. This book, therefore, gives an interesting glimpse into Panama and its history as it relates to U.S. investment. It’s no secret that the U.S. and Panama have had an enduring and complicated business relationship. This book will help you understand this relationship from a new perspective. No matter what sector you work in, you can’t understand how business operates in Panama without understanding the Canal, its history, and US-Panama relations. The Panama Canal has been and continues to be crucial to the economic development of the country. Diaz-Espino spent years researching the Canal’s origin to share it with readers. In this book, he shares the fascinating story of the United States’ involvement in building one of the most lucrative engineering projects of the 20th-century thousands of miles south of their border. Packed with speculation, fraud, and corruption, we promise you won’t be able to put this one down. David McCullough is famous for making history come alive through his books. The Path Between the Seas is no exception. Published in 1977, this National Book Award-winning novel recounts the story of the creation of the Panama Canal. In this book, McCullough seamlessly weaves the stories of various individuals involved with the Canal’s planning, construction, and inauguration. If you want to know more about Panama’s history, but don’t have the appetite for a dry history book, this is for you. This pleasurable read will keep you wanting more, long after you’ve reached the last chapter. Even before the construction of the Panama Canal, Panama’s geography has made it an important location for the movement of goods. This book, based on a true story, takes place in the 1850s. In this Pre-Canal era, bands of raiders roamed the narrowest strip of the isthmus stealing goods that were transported on the railroad. Enter Randolph Runnels, a Texas Ranger hired by a New York shipping company to go after the raiders. Every page brings new dangers and action as Runnels attempts to tame these dangerous gangs. Apart from action, this book also imparts fascinating information about an important chapter of Panama’s history. In Secrecy World, Pulitzer Prize-winning Jake Bernstein takes a deep dive into the parts of Panama’s financial sector that aren’t always visible. The incredibly informative book gives insight into the importance of Panama as a financial and corporate structuring hub by looking at the inner-workings of Mossack Fonseca, the Panamanian law firm from where the Panama Papers were leaked. Thanks to scrupulous research across three continents, Bernstein is able to paint a powerful and coherent picture that makes a complicated process clear. This book provides insight into Panama’s unique mix of banking, incorporation, and foundation laws that are still in place today. When it comes to investigative journalism, the closer you can get to the source, the better. When it comes to learning more about The Panama Papers, you can’t get closer to the source than the book The Panama Papers. One of the author’s of this book is Bastian Obermayer, the German journalist to whom these top-secret documents were originally leaked. Upon receiving access to this private data from an anonymous source, Obermayer and his colleague Obermaier flung themselves into this compelling story. Working in complete secrecy for over a year, the authors carefully began to overturn stones and painstakingly follow trails to uncover cases. While the “Panama Papers” themselves are in fact more about offshore structuring outside of Panama, this book sheds light on the situation and provides first-hand account of the operations (and emails) of Mossack Fonseca and its past clients. If you’re someone with an all-or-nothing approach to history, this is the book for you. This incredibly thorough historical narrative recounts the history of the Canal Zone over its 75 year lifespan. Starting in 1904 when the first Americans came for the building of the Canal and ending in 1979 when the Canal Zone was abolished, this book tells it all. Apart from learning the fascinating history of the region, this book provides valuable insight into Panama’s relationship with the U.S. and how it has evolved over the years. An important read for anyone looking to better understand the Canal Zone days. This harrowing cliffhanger will undoubtedly have you on the edge of your seat while teaching about a little-known slice of Panama history. Kurt Muse was born in the United States and raised in Panama. Growing up, his profound love for his adopted country left him pitted against the oppressive Noriega regime in the 1980s. Unfortunately, Muse’s attempts to raise awareness and inspire his fellow Panamanians to rise up did not go unnoticed. What follows is a terrifying personal narrative of Muse’s imprisonment that lasted for months. This captivating personal narrative will shed light on one of Panama’s darker chapters while also reminding you what makes this country worth fighting for. If you’re looking for something a little bit lighter, then Malcolm Henderson’s book, Don’t Kill the Cow Too Quick, is for you. In this humorous account, Henderson tells the lessons he’s learned living as an expat in Panama through dozens of relatable anecdotes. Set primarily in Bocas del Toro, the book spans an integral six years for the region during which the islands transformed from a quaint community to a growing tourist destination. It’s the perfect way to learn more about the development of the region while laughing the whole time. When it comes to understanding Panama’s business landscape, there’s no doubt about the importance of understanding the country’s history. That said, some of the most important history to understand isn’t from all that long ago. In 2000, Panama assumed control of the Panama Canal from the United States, in a move that has since changed the country dramatically. Panama and the United States: The Forced Alliance explores the importance of more contemporary historical events. 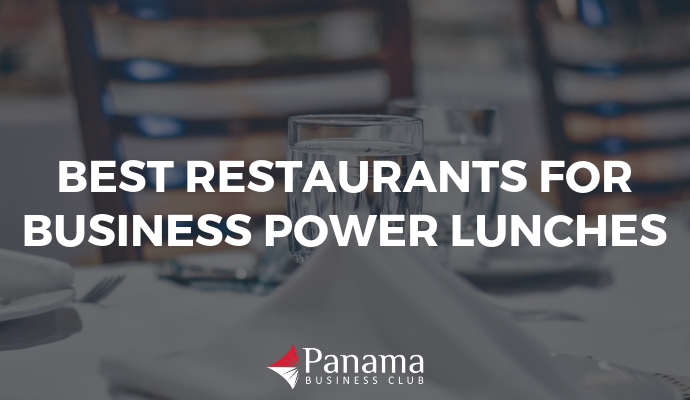 How have Panama’s changing economic, political, and social landscapes affected business? This is the perfect book to read for the riveting answer to this question and many more. Regardless of what kind of business you’re doing in Panama, you need to understand the history of the country – the good, the bad, and the ugly. This is the ultimate list of books, curated from our members, to get the full picture of Panama.